Members have a chance to WIN up to $500 CASH every Thursday & Saturday in our Membership Draws! Members swipe their (valid) membership card in the member’s kiosk every Thursday & Saturday between 10am – 8.30pm and place the voucher in the box provided at Reception. One entry per member. All draws are done from paper entries generated on the day. Draw times are subject to change/operational requirements. 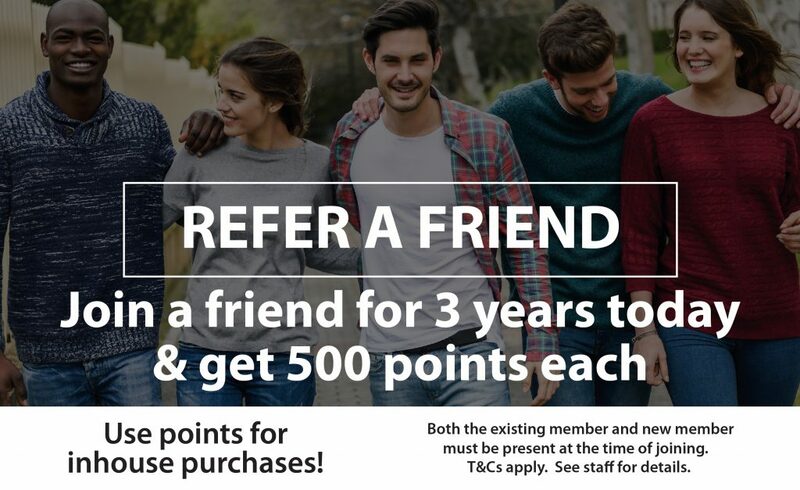 Refer A Friend and you both get points! Simply fill out the Membership Form and bring it into Yeronga Services & Community Club where the friendly staff will process your application. 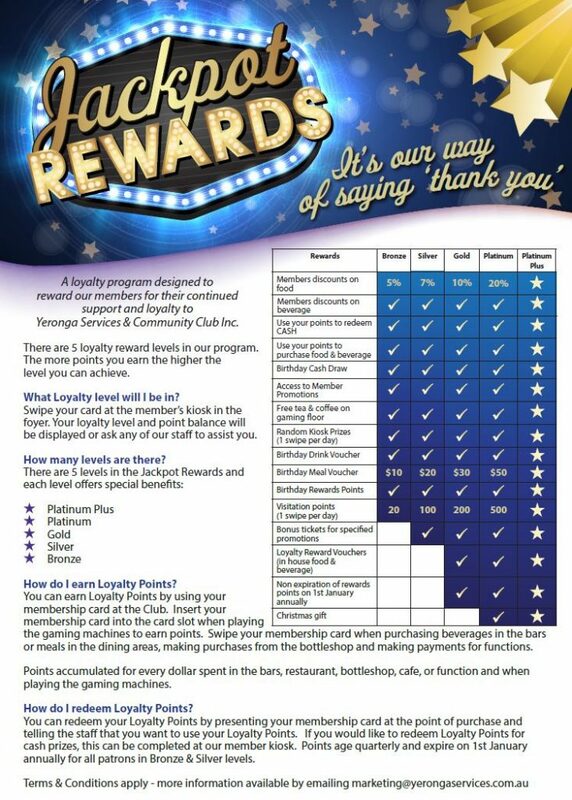 Once processed you will then be able to receive benefits of a member! Click on the link below to download the membership application form. Once you have completed the form bring to reception with a form of ID and our friendly staff will present you with your membership card. You can also call in and complete a form at reception. We are open from 10am every day. As a member you will receive discount on selected food and beverages. In addition and when it is the month of your birthday, you can receive extra points, food and beverage vouchers and entry into our Monthly Member’s Draw – all you have to do is swipe at the kiosk during the month of your birthday. Please note that the members draw is on the last Friday of each month and therefore to enter you must swipe at the kiosk prior to 7pm.